Be it in the chicken farms of India or the outskirts of Lancashire, the new Premier League season has many chewing their nails already. From eternal fighters, experienced in the art of last day escapes, to those praying not to be found out on their first ever visit to English football’s promised land, the characters preparing to participate in this campaign’s drama are only hours away from the start of a thirty eight games of purgatory. Fitting perhaps, for the concept of purgatory is religious in derivation, that prayer and faith are likely to be two themes of pre match ritual for supporters of the Premier League’s basement dwellers.While Kaka cruises to wins with Real Madrid, fans will have to hope that their struggling team really does belong to Jesus. In Wigan, this pre season’s premonitions of gloom and doom are not unfamiliar – boss Roberto Martinez by now is used to seeing his team bottom of hypothetical tables, and his name reportedly leading the sack race. However, this year the Latics enter in particularly dire straights, having only barely stayed up last time around, they have been stripped of their finest player and allowed pricey flop Mauro Boselli to make his inevitable exit. For Martinez and Wigan, another relegation battle could see Lady Luck’s tolerance begin to run out. Newly promoted as champions, Queens Park Rangers seem to be every one’s favorites to go down – led by the eccentric Neil Warnock, their main summer coup remains the retention of Moroccan creator Adel Taarabt. A bust at Spurs, the Loftus Road faithful will look to Taarabt for inspiration – else be forced into an extreme game of brinkmanship: placing all the eggs in a Kieran Dyer shaped basket. Up front is where Warnock seems to be most confident though, paricularly in new striker Jay Bothroyd. “Andy Carroll is good in the air, but you cannot tell me he has more about him than Jay Bothroyd when he is on song.” said Warnock .”I think Jay has got everything to fight for his England place and it is really up to him.” It wouldn’t be the first time exaggeration has crept into a manager’s press conference – but then again, Liverpool’s Carroll wasn’t the subject of much expectation in the summer of 2010. Travel North of London, and you might reach the home of Paul Lambert’s runners up – Norwich City are looking to maintain their position as a top tier team following two consecutive promotions. After crushing his current club seven-one on opening day of last year’s Championship, Lambert was handed the reigns at Carrow Road in one of the most bizarre managerial switches ever made. To say things improved for Norwich following their hiding at the hands of Colchester would be to put it mildy – a startling ascent up the standings led to relatively comfortable automatic promotion. However, this time around, Norwich fans will hope to start in a more auspicious manner. 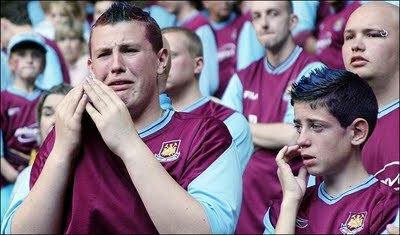 Belief seems to be the watchword so far in terms of talk of survival, and an opening day hammering would do nothing to create that. Certainly, striker Grant Holt made sure that reporters were well aware of its significance. Since taking over midway through last season, Steve Kean has endured a baptism of fire in top level management. Headed by the controversial Venkys group, Blackburn Rovers have found themselves part of more jokes than wins. I guess that’s what happens when last day survivors talk up their Champions League chances. However, for all the cheap cracks, chicken and Chris Samba exit rumors, Kean will be able to content himself with one major transfer success – the signing of long time Rangers target David Goodwillie. While the name will only inspire more feats of jest off the field, the player will help to insure fewer of them on it – prolific in Scotland, Goodwillie could provide the cutting edge that was so sorely lacking last year. “He’s a player that scores all types of goals, headers, left-foot, right-foot, tap-ins, which are always the best for the strikers to score. I think he’ll give us a different dimension.” said Kean of Goodwillie. “He’s bubbly, he’s a natural finisher and I think he’ll be a great addition to the already up and coming young ones.” If Blackburn are to reach top level European competition within the next four years, then Goodwillie will have to prove his manager’s compliments are more than just defense over a major expenditure. With Blackpool and Burnley holding the spot as every one’s favorite second team over the past few seasons, it is only appropriate that their role as attractive, attacking new boys should be filled for this campaign. A 4-2 win at Wembley in the play off final epitomises what Swansea Football Club are all about. Attack, attack, attack will likely be the club’s mantra, their style was once described by former Reading striker Shane Long as resembling that of Barcelona. It is one thing to talk Barca, another thing altogether to play it – fans will enjoy watching the Welsh side pass, but the punishment for naivety in this league tends to be severe. One thing that Mick McCarthy’s team will never be accused of is naivety, his sides always bunker down to work, and you shouldn’t expect much talk of Barca and Wolves, save from a book of footballing antonyms that is. Wolves’ signings this summer say a lot about the current team’s style, the headline edition remains center back Roger Johnson, who despite impressive performances couldn’t keep Birmingham up. 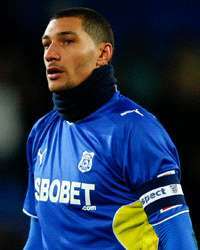 Bizarrely, Johnson was handed the armband soon after his arrival, in the wake of…well, let Johnson say it for himself. “On the day we had a right barny at each other and he did say that was one of the things he liked.” If ever an incident could sum up a manager, it was that one. As another long ball slung up by a burly center back is headed away powerfully by another equally traditional defender, the armchair fan might be tempted to switch over to Barca’s annihilation of the more aesthetically pleasing cannon fodder available in Spain. Sure, McCarthy is ever the pragmatist and Warnock’s most poignant commentary on his side remains “I certainly don’t think any team will be fitter than us” but the excitement remains of vintage quality. Last season ended with perhaps the most exciting final day in Premier League history, and there is no reason to believe that the upcoming campaign will produce anything other than more of the same.